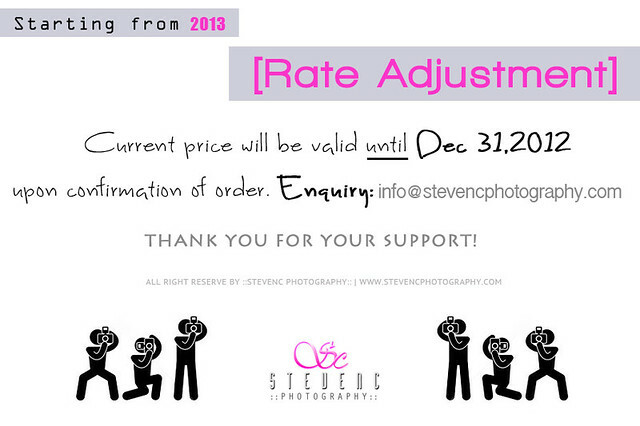 Please noted that there will be a price adjustment for the coming year of 2013. Thank you all for your support this year & we will continue to work hard (and harder of course!) in the future. 1.) For clients who are already pay your 50% deposit will not be affect. 2.) If you can confirm our package on / before Dec 31, 2012 you can still enjoy our current rate.